Five years ago, my beloved encouraged me to get a BAHA – Bone Attached Hearing Aid. It’s a device that’s implanted in my skull which bypasses the usual hearing apparatus and carries sound vibrations directly to the middle ear. It would not be too much of an exaggeration to say that this tiny device has profoundly changed my life. I’ve always been an introvert, and social situations make me uncomfortable … but I say that based on all of those years avoiding them because my deafness made them so very awkward. The elaborate dance of positioning myself correctly relative to speakers so that I could hear out of my right ear, hurrying to be the first to be seated at a dinner so that I can grab the left-most seat, and avoiding multi-speaker conversations because I’m bound to miss most of it, has been going on since I was 12, and it’s hard to remember how things were before that. While I still can’t tolerate super-loud settings – which makes most conference social events something of a chore, endured for the all-important networking – the Baha has changed normal conversation from a painful ordeal, preferably to be avoided, into something more normal and routine, where I can, for the most part, understand what is being said, the first time, without needing several increasingly embarrassing repetitions. There are still scenarios where it’s hard to hear. The very loud places, as mentioned above, for one. Also, conversations with many speakers tend to be difficult, but apparently the latest model of Cochlear’s product has intelligent selective filtering, as well as noise reduction stuff in it, and perhaps I can upgrade some day for an even better experience. Being able to hear has made me more confident, more sure of my opinions, more assertive in meetings, and less irritable with soft-spoken people. And far less awkward in social settings. And I can sit anywhere I want at dinner. No, it’s not a 90s-era MP3 player. For those of you who never saw it, this is the Xomed Audiant, the hearing aid that I have had since 1987, when it was a prototype of an experimental device. It worked pretty well, but as you can see from the photos, it was huge, and I had a wire trailing out of my hair, which always resulted in questions and more questions and generally drawing attention to myself. The magnet on the end of the wire attached to a screw in the skull by means of a magnet. The screw for the BAHA (which I will get today) actually sticks through the skin. The screw for the Xomed was below the skin, so the magnet had to be strong enough to hold through the skin. Anyways, today I get my BAHA implant (just the screw part). It will be another 3 months before I have the hearing aid itself, as the surgery site needs to heal first. We’re leaving for the hospital in just a few minutes. Updates later today, I imagine. we just wanted to get some before and after photos. So here’s the before. See you later today. This account is provided so that if anybody else has to appeal their charges to an insurance company, this might help them in some small way. Specifically, this account is of my appeal for coverage of my BAHA surgery, and my insurance company is Anthem Blue Cross, Blue Shield, but I’m pretty sure that many of the things covered here will be useful no matter what your particular procedure and insurance company. This saga started when we attempted to get a pre-certification for the BAHA surgery. I was assured that this was a pretty routine procedure, and there was no doubt that it would be covered, so it was something of a surprise to be told that they had rejected the pre-certification. The first important note here is that it is the insurance company’s job to reject your claims. Do not be surprised when your first attempt is rejected, and, more importantly, don’t give up at this point. That’s what they’re hoping you will do. You must pursue it. Fortunately, in my case, I had a number of people assuring me that the claim should have been approved. And I was directed to the Let Them Hear Foundation. I spoke with someone there, and she gave me the following tips. These tips are applicable to any insurance appeal. Determine what your insurance company’s definition of “MEDICAL NECESSITY” is, and obtain a letter from your doctor stating that your surgery is motivated by medical necessity, using the phrasing that is used in your policy. Make sure that the letter covers as many of the points from your policy as possible. Write a letter. It is important that there’s a letter from the doctor, but it’s more important that there’s a letter from you. You are the paying customer, but the company expects you to be ignorant and apathetic. If you get involved, it’s going to cost them more to say no than it would have to say yes. In your letter, be polite. If you are belligerent, they will ignore you. Be polite. Assure them that there’s been a misunderstanding, and you just want to make sure that they have all the facts. Be polite. Did I mention that you should be polite? Don’t threaten legal action, particularly in your first letter, or the next few. Don’t expect that one letter will be sufficient. Be sure you understand why you’re getting the surgery. That is, in what specific ways will it enhance your life? Will it protect you from further sickness or injury? For example, I am deaf in my left ear. Thus, when I’m driving, I never hear vehicles pull up on my left side, which increases my chances of vehicular accident. Also, due to my loss of hearing, I find many work situations very frustrating. If I were a less stable individual, this might lead me to severe depression. Either of these things could cost the insurance company considerably more than just covering my surgery. Thus, I’m acting in the interests of the insurance company, and they should cover my surgery. Find out what your policy says. Yes, this should be obvious. But if you take their word about what it says, and don’t check, chances are you’re not getting what you paid for. 38. For hearing aids, or examination to prescribe/fit them, unless otherwise specified within this Benefit Booklet. The operative phrase here appears to be the “unless otherwise specified”, because, as it happens, it IS otherwise specified. 10. Hearing Aids – Any device or instrument that can be worn repeatedly. It is not designed to be disposable. It is designed to help or repair poor human hearing as best it can. In this case, what I’m getting is not a cochlear implant, but it tends to get classified under the same set of surgery codes. But item 10 seems to pretty clearly contradict the statement in the “excluded services” section. So strange. Find out what the law says in your state. Some states REQUIRE that hearing aids and hearing surgeries be covered. Laws differ from state to state and country to country. Do your research. If you can include a particular law name, number, paragraph, etc, in your letter, it will be taken more seriously. If you send your letter via post, send it certified, or registered, with return receipt. That way you know when they got it, who signed for it, and they can’t pretend they didn’t get it. If you call, get a reference number for the call, and the name of the person you spoke with. Find out how other insurance companies handle the same surgery. Tell them that they are being less competitive than the company that you’re considering switching to. Find out the HCPCS code for the procedure in question. In the case of the BAHA, it is L8690. Interestingly, hearing aids are always in the V designation, while prosthetic devices are under L. Knowing how your procedure is classified can help you find the right way to talk about it so that it is covered. They play this same game to tell you it’s not covered, so don’t feel like you’re being dishonest. In your letter, be sure to include the sections from your policy that you’re referring to, so that it’s not a question of interpretation. And be polite. Right after Christmas, we received a letter from the insurance company, proving that even an insurance company can admit to making a mistake. They said that they had reevaluated their denial, and changed their decision, and the procedure is completely covered. I’ll be having the surgery on January 6th. I’ve included my appeal letter below. I was lucky. It only took one appeal letter. But I have the benefit of a British boarding school, where they taught us the right way to write letters. Maybe that had something to do with it. I’m writing in regards to a recent pre-qualification, which was denied, for a procedure which, according to my insurance policy, should not have been a problem. I presume that there has simply been a misunderstanding regarding the procedure, and that, once this misunderstanding is corrected, we can proceed. 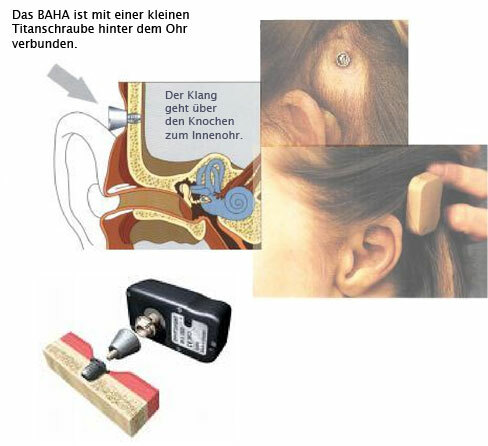 The procedure in question involves the BAHA Bone Anchored Hearing Appliance, which attaches to an implanted screw, to restore hearing to a damaged ear. 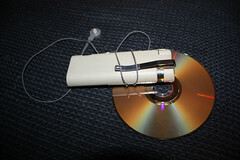 This is not a traditional hearing aid, as was misunderstood by the individual who denied the pre-qualification. Several other insurance companies, including Aetna and Medicare, cover this procedure as a prosthetic device, since it restores functionality to a damaged or missing part of the body – in this case, the bones of the middle ear. I also noted, on page M-27 of my benefits guide, given to me by my HR manager, that this kind of prosthetic surgery is explicitly covered: “10. Hearing Aids – Any device or instrument that can be worn repeatedly. It is not designed to be disposable. It is designed to help or replace poor human hearing as best it can.” On the other hand, in the section about exclusions, the phrasing is that hearing aids are not covered “unless otherwise specified within this Benefit Booklet.” And, since it is, indeed, specified elsewhere in the Benefit Booklet, this seems to be a pretty clear-cut case. Thank you for your attention to this matter. As you can no doubt imagine, I greatly look forward to having my hearing restored. I anxiously await your response. I certainly didn’t think, when I posted earlier this morning, to have a follow-up this quickly. I faxed several pages from my policy to the doctor, who faxed them to the insurance company, who called right back to apologize for denying coverage for something that my policy says is covered. Apparently my appeal letter helped a lot too. Apparently appeal letters from the customer carry a LOT more weight than appeal letters from the doctor’s office. So, although it’s not all signed and paid for, it looks like the lengthy appeals process I was gearing up for isn’t going to materialize. This is such an enormous relief, and I may indeed have the surgery on January 6 as scheduled, and I’m going to get to hear again. I’m so excited! A few weeks ago I mentioned that I am scheduled to have a BAHA installed. However, last week, we found out that, contrary to the audiologist’s expectations, the insurance company, Anthem Blue Cross Blue Shield, has declined to cover the procedure. Naturally, I’m very disappointed. I do tend to expect that a company will honor their agreements with me, particularly when I am paying them a large amount of money every month to do so. As I read it (and, I admit, Insurance has always been confusing to me. I presume they do that on purpose.) my policy clearly states that it covers reconstructive surgery to restore hearing that has been damaged due to trauma or earlier surgery. It says that cochlear implants are covered. It says that reconstructive hearing surgery, and hearing prosthetics, are all covered. And then there’s this weird clause that says that hearing aids are not covered, unless stated differently elsewhere in the document. Which it is. So, the appeals process has now begun, but it seems that the chances of getting the surgery done next month are pretty slim. Folks on the BAHA Patients Site report battles with insurance companies lasting 6 – 18 months, which isn’t terribly encouraging. But they seem to report that insurance companies are gradually becoming acquainted with this device, and becoming more open to it. I also spoke with folks from the Let Them Hear Foundation, who gave me some tips of how to appeal this, which I’d be glad to share with you if you’re going through this process yourself. They couldn’t assist me directly in the appeals process, because their funding is specifically to help kids in this process. It certainly seems to me that insurance companies say no the first time, regardless of the issue, and that this is pretty much how they are geared to operate. And it seems that this is more the case now than it ever has been. It’s not right that insurance companies are the ones making medical decisions. And it’s not right that no matter how many presidents and governors have promised to fix this situation, it just gets steadily worse. Well, it’s been 25 years since I lost my hearing, and I expect that another year or two isn’t going to be so terrible, if there’s an end in sight. And I’m pretty sure I’m just stubborn enough to win this battle. But it’s pretty discouraging to find this out 3 weeks out from my surgery date.